Developed jointly with the National Federation of State High School Associations, First Aid, Health and Safety for Coaches is designed to give students an overview of first aid and "best practices" for many first aid situations encountered by coaches. Students will learn skills directly related to athletic injuries that may also be useful for injuries to officials, fellow coaches and/or spectators. 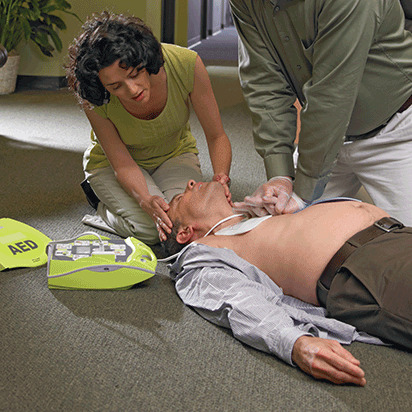 Blended Learning CPR/AED is a great complement to this course.